We have a tough time reviewing movies starring Ewan McGregor as the guy happens to be one of our favorite actors. But, fortunately, putting together a Top Picks list is a matter of choice, so it's totally fine to play the fan and not have to be professionally disconnected from the subject. That said, here are our choices for some of the best Ewan McGregor movies (and no, any movie with "Star Wars" in the title will NEVER make this list). Danny Boyle directs Ewan McGregor, Jonny Lee Miller, and Robert Carlyle in this probing look at the lives of heroin junkies in Edinburgh. It's alternately heartbreaking, hysterical, and disturbing, but it's always entertaining. And Boyle promises that one of these years he'll revisit these characters when the actors are older. "We want to get them back together again and do a film about those same characters and what their lives are like now when they're kind of in middle-age, and all the things that that means to people," said Boyle in our exclusive interview. "It's a lovely way of looking at life through a bunch of hedonists who wasted their lives, you know, and what that would be like when middle-age is hurtling towards them." Ewan McGregor shares the screen with three incredible co-stars - Melanie Laurent, Christopher Plummer, and a Jack Russell Terrier who will steal your heart - in this incredibly moving, funny romantic tale with one of the best 'meet cutes' on film. Some thought it wouldn't work, but Ewan McGregor and Nicole Kidman just went for it in this flashy, energetic movie musical from filmmaker Baz Luhrmann. A mishmash of musical styles propels this musical forward, with Luhrmann asking the audience to abandon reality and go along on this wildly exuberant ride. And who knew McGregor and Kidman could actually handle singing chores so well? Ewan McGregor doesn't mind dropping his pants on film, and Velvet Goldmine allows him to let everything hang out - literally, but not gratuitously. Jonathan Rhys-Meyers and Christian Bale co-star in Todd Hayne's critically acclaimed look at glam rock. Rhys-Meyers plays glam rocker Brian Slade who fights his way up the ladder only to fake his death to escape the spotlight. Bale co-stars as a journalist who has to relive his wild youth when he's given the assignment to write a retrospective on the rise and fall of Brian Slade. And McGregor plays Brian Slade's sometimes lover, sometimes singing partner who crashes hard. This wild fantasy from Tim Burton has a touching message about family and love. If you like tall tales, and if you're looking for a gentle Ewan McGregor movie, then this one's for you. McGregor, playing the younger version of Albert Finney in this film adaptation of Daniel Wallace's novel, is Edward Bloom, a teller of tall tales who is dedicated to his loving wife of many years (played by Jessica Lange and Alison Lohman) but estranged from his journalist son (Billy Crudup). As Edward nears the end of his life he's determined to make a connection with his son, and his son is determined to get the truth out of his dad - no matter the consequences. Ewan McGregor plays Rock Hudson to Renee Zellweger's Doris Day in this under-appreciated romantic comedy. It's totally old school, which may have put off contemporary audiences. But if you get the Hudson and Day reference, then you'll get Down with Love. 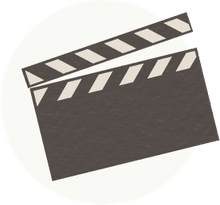 Rent it and then be sure to watch all the DVD extras, and stay tuned to the credits for a cute song and dance number by McGregor and Zellweger. Ewan McGregor's performance single-handedly makes this movie worth watching. McGregor stars as stockbroker Nick Leeson, a guy who plays it loose and gets in way over his head in this 1999 dramatic thriller, based on true events and co-starring Anna Friel. Sometimes I'll tell people I love this movie and I'll get the strangest blank looks in response. Apparently A Life Less Ordinary is a well-kept secret. But check it out - Ewan sings, dances, and gets really emotional, and woos Cameron Diaz. Plus, there's angels (played by Delroy Lindo and Holly Hunter), a weird, sexually crazed dentist (played by Stanley Tucci), and a mob boss who's off his rocker (played by Ian Holm). And Danny Boyle directs... There's nothing 'ordinary' about this romantic comedy. You've got to love this movie's tagline: "What's a Little Murder Among Friends?" 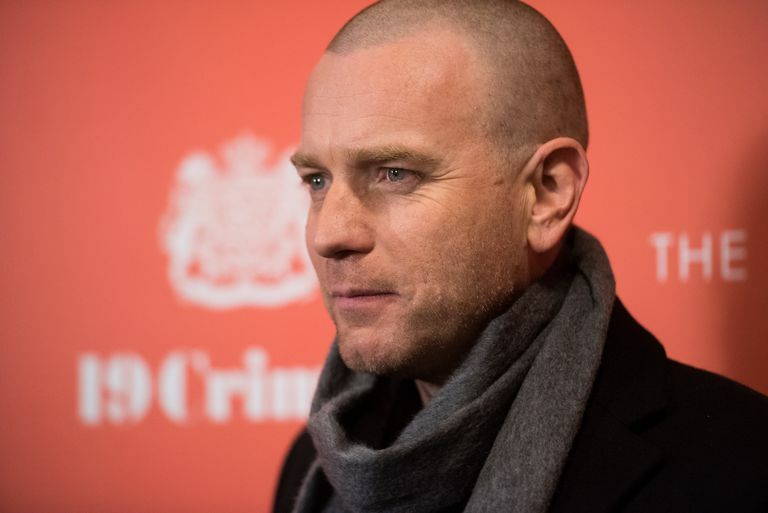 Director Danny Boyle's first film finds Ewan McGregor playing one of three roommates who interview a long line of prospective roommates, finally settling on a pretty normal-looking guy. But when their new roomie suddenly kicks the bucket, they discover the guy had a huge secret. Their deceased roommate leaves behind a suitcase full of cash. Problem? What to do with the body and the dough. Solution? Get rid of the body, keep the dough. Unusual and sensual are two words commonly used to describe The Pillow Book, a 1996 film starring McGregor and Vivian Wu divided up into 10 chapters.